Ultralight doesn’t always have to result in the sacrifice of comfort. Sometimes, ultralight equipment can both improve comfort and reduce pack weight. The Auriga from Thermarest is one such example. How does it make it happen? The magic here is in the simplicity of it’s design, paired with the elimination of unnecessary materials (material and insulation under the body is useless when compressed while sleeping). 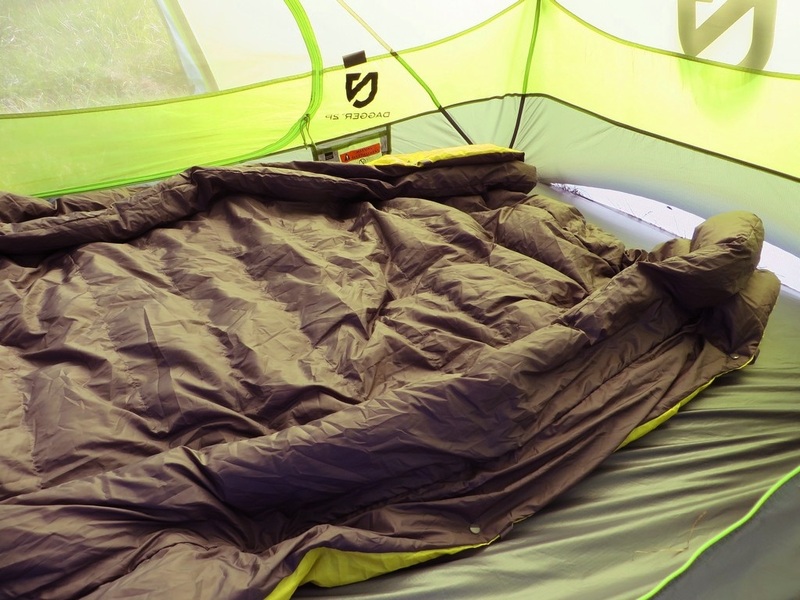 The Auriga Down Blanket is a simplification of the traditional sleeping bag system. No zippers are present here; instead there is a simple foot box sewn into, you guessed it, a blanket. The blanket is built from ultralight weight 20d polyester, inside and out, filled with 260 grams of 750 fill down. Optional attachment points allow for the attachment of the blanket directly to a compatible sleeping pad to trap more warmth, and included are adhesive retrofits for sleeping pads that aren’t built for it. There are also small clips about the neck of the blanket that allow you to clip it around your neck for a tight seal on those frostier nights. It’s rated at 35 F (EN limit), weighs just 1 lb 5 oz, and retails for $269.95 (regular size). Overlook the terribly lit photos. I’ll replace these when I get better conditions. Comfort and ease of use are prime features here. The blanket is silky smooth to the touch, and feels great against the skin. I was toasty warm at freezing temperatures and I always appreciated the ability to just sit up without dealing with zippers or buttons. It’s as simple as lying down in your bed, and covering up. Sliding my sleeping pad into the foot of the blanket boosted the warmth around my feet, and clipping the buttons at the top of the sleeping bag around my neck provided a great warm seal, without trapping me inside. The blanket also never once got in my way, or made me feel restrained in any way. Sweet freedom. The weight of the blanket is also quite impressive. The use of light weight, high quality materials and a high loft 750 fill allows the blanket to shave weight without sacrificing warmth or durability. I’ve always found polyester to hold up better than nylon on sleeping bags, and this has been no exception. It also packs down tiny, taking up about half the width of many full sleeping bags. 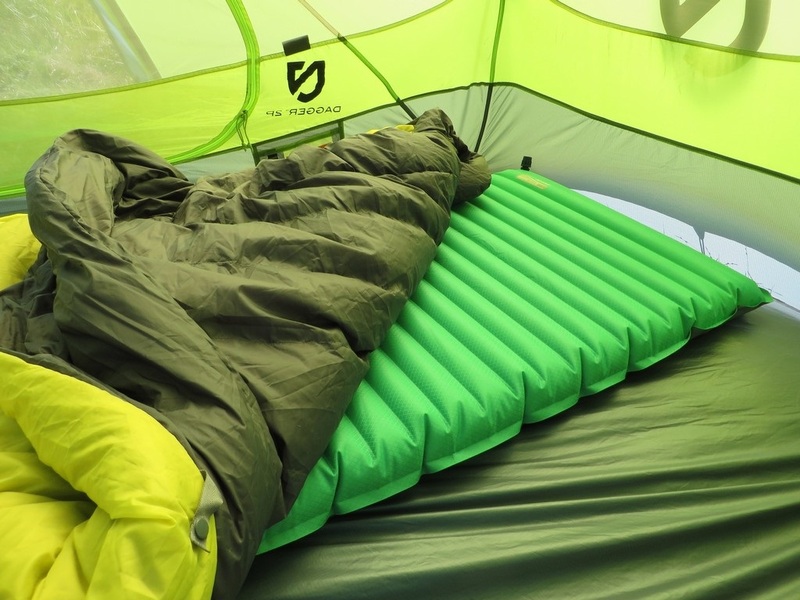 The ability to connect the blanket to a sleeping pad allows the blanket to seal up tight, providing a large boost to the warmth of the sleep system, eliminating leaking air around the seal between the blanket and the pad. It’s simple to use, and quite effective, where compatible. The included retro fit kit allows it to work with other manufacturers pads. The seal is enhanced further by a draft collar which runs the length of the pad on both sides that sits against the pad, improving the seal. For what you get, the price is extremely competitive. At just under 270 bucks, you’ll be hard pressed to find a better value anywhere. That’s not something I often say about a sleeping bag. The regular size could stand to be a little wider in the shoulders. I was always able to stay covered up, but barely. I’m a 34 waist and the blanket just made it down to the sleeping pad enough to make a seal. Burlier campers or those who want to sprawl may want to consider the large. Note the generous thermal baffles that sit against the pad when in use to help provide a better seal. 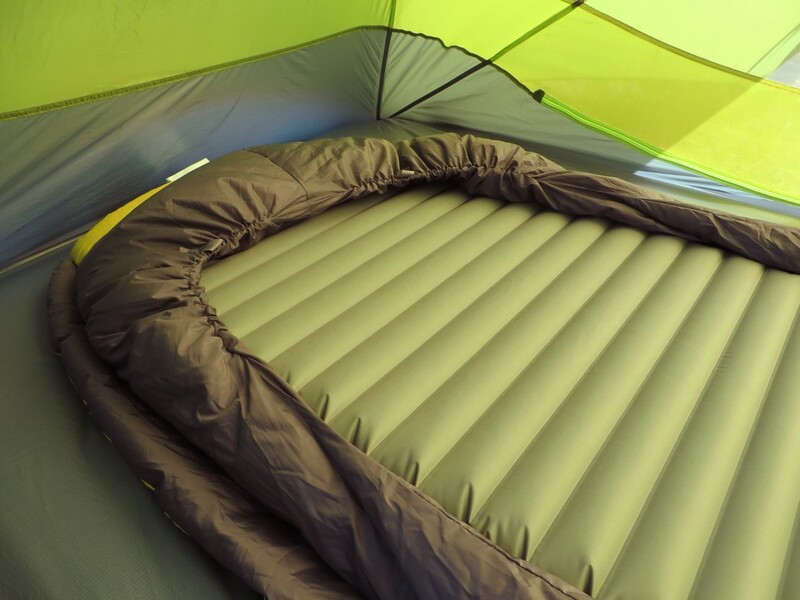 The pad attachment system, while a great feature, is limited by only being directly compatibility with a few of Thermarest’s own sleeping pads. Other manufacturers pads are not compatible, although the included adhesive retro fit kit allows it to work. This isn’t ideal, as it modifies the pad, seemingly forever. Even many of Thermarest’s current pads aren’t compatible with the system. It’s not a necessary feature, but it’s worth mentioning if that’s a selling point for you. 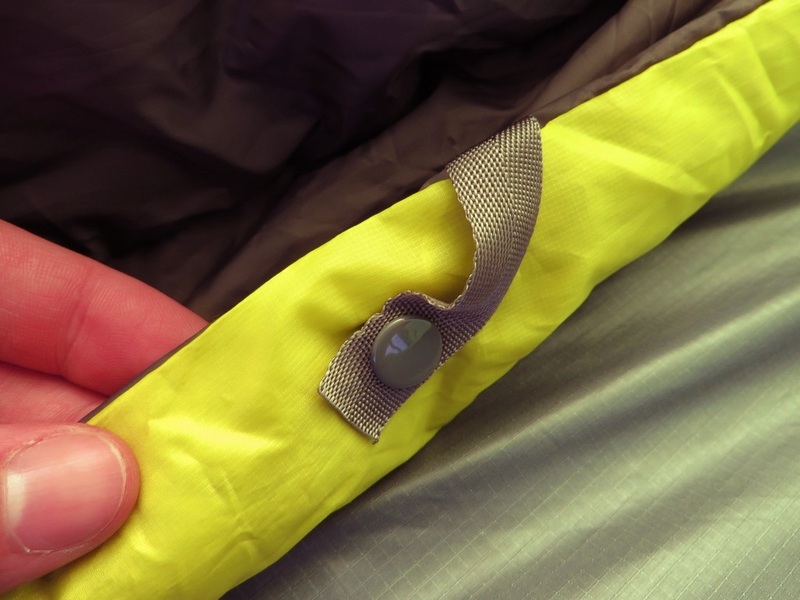 The very handy, and simple, clip system for attaching a sleeping pad for a better seal. The Auriga is a fantastic blanket (quilt?) for an exceptional price. The build quality is fantastic, with no visible wear or tear even after repeated use. The comfortable, supple fabrics feel smooth and natural, while the non-restrictive build provides a sense of comfort without tying you down. If you want to cut weight, while boosting comfort, this is one of the best options out there. Just check the sizing for a good fit, and consider pad compatibility if you want to tie it to your pad. 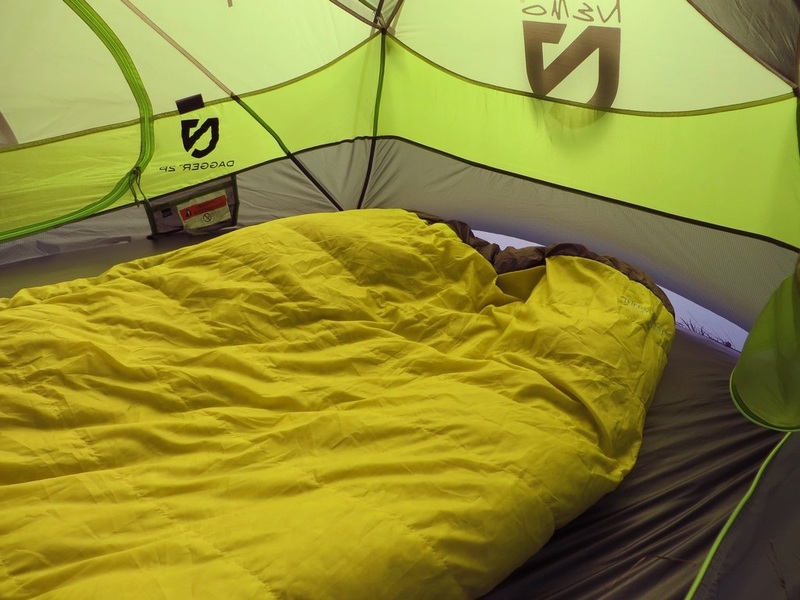 Thanks to the ever generous Thermarest for providing the Auriga for review. I couldn’t do this without the support. A full disclosure is available on my Contact us page. 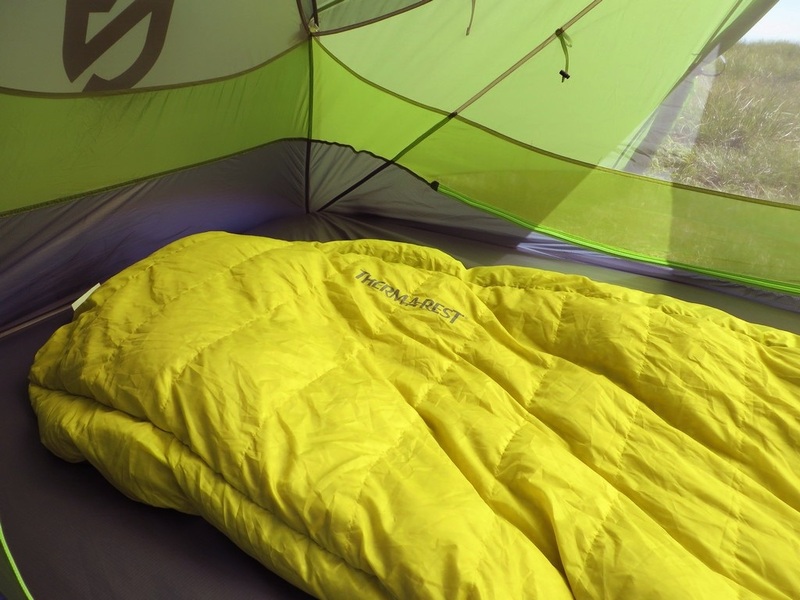 After Treeline’s review and a couple others, I got the Thermarest Auriga quilt. I already had the NeoAir Xtherm pad. And what did I find but that Thermarest had a fitted sheet for the pad with side snaps for the quilt! And why the heck is Thermarest not marketing this as a sleep system? Well, it sure works as a 3 season system for me. One user mentioned the open baffles as a minus. In my mind, open baffles are a positive – I’ve a 20 degree, 850 fill sleeping bag with open baffles that allow it to cover a wide range of temps. The first night I used the Thermarest quilt it was 35 and humid. Quilt snapped to pad, I was as toasty as a bug in a rug. Need a quick exit for midnight relief? I unsnapped 2 snaps and easily emerged from the toasty cocoon. Slid back in, pressed the two snaps and was asleep before my feet ever got cold. The snaps are more consistent than most zippers. 3 AM is not the most pleasant time to deal with a stuck zipper! With a bit of clothing (long johns, light vest) you coud take it down to the upper 20s. If i expect nights in the 20s, I’ll still take my nice down bag to ensure a night of warmth. But I will miss the room to move around affored by the Thermarest sleep system of quilt, fitted sheet and sleeping pad! Thanks for letting us know how you’re enjoying it. I’m a big fan of the venting ability myself. I rarely find the need to clip in, but once I do it’s much warmer and draft free for me. That’s a good point, this should be a sleep system. It’s a big missed opportunity. It’s certainly a solid one at that. Glad you enjoying, and thanks for reading/commenting. Happy trails!